Crime Reconstruction, Second Edition is an updated guide to the interpretation of physical evidence, written for the advanced student of forensic science, the practicing forensic generalist and those with multiple forensic specialists. It is designed to assist reconstructionists with understanding their role in the justice system; the development and refinement of case theory’ and the limits of physical evidence interpretation. Chisum and Turvey begin with chapters on the history and ethics of crime reconstruction and then shift to the more applied subjects of reconstruction methodology and practice standards. The volume concludes with chapters on courtroom conduct and evidence admissibility to prepare forensic reconstructionists for what awaits them when they take the witness stand. 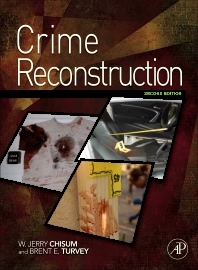 Crime Reconstruction, Second Edition, remains an unparalleled watershed collaborative effort by internationally known, qualified, and respected forensic science practitioner holding generations of case experience among them. Forensic pioneer such as W. Jerry Chisum, John D. DeHaan, John I. Thorton, and Brent E. Turvey contribute chapters on crime scene investigation, arson reconstruction, trace evidence interpretation, advanced bloodstain interpretation, and ethics. Other chapters cover the subjects of shooting incident reconstruction, interpreting digital evidence, staged crime scenes, and examiner bias. Rarely have so many forensic giants collaborated, and never before have the natural limits of physical evidence been made so clear. William Jerry Chisum has been a criminalist since 1960. He studied under Dr. Paul L. Kirk at U.C. Berkeley, worked in San Bernardino, and set up the Kern County Laboratory in Bakersfield. After joining the California Dept. of Justice, he took a leave of absence (1971-73) to work at Stanford Research Institute. 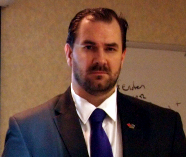 He has been President of the California Association of Criminalists three times, and has also served as President of the American Society of Crime Lab Directors. In October of 1998, he retired from 37 years of public service but continues working as a private consultant. An accomplished teacher and lecturer, he has also been published in many forensic science journals and books.